oak worktops offer great wear-resistance and are made by hand selected 40mm wide oak strips. walnut worktops have a beautiful, rich chocolate brown colour with a straight grain. beech worktops are a favourite choice in UK kitchens because of their sturdiness and warm colouring. iroko worktops have yellowish to golden colour. They are highly durable and easy to work with. The common fitted kitchen is normally arranged with base cabinets, typically covered with a continuous surface called a worktop countertop. There is a huge variety of materials the kitchen worktop can be made from. One of the most popular choices is solid wood worktops which are manufactured in a number of different ways including Full plank or stave wood worktop or finger jointed construction of the worktops commonly called butcher block style. As a company specializing in solid wood worktops we have the most extensive range of wooden countertops, oak, walnut, beech, ash, cherry and many more different species of wood. Along with the above traditional wooden tops, we have a wide range of exotic wood countertops including wenge, zebrano and iroko. The kitchen is not the only place where wood worktops can be used. It is a very popular solution for making wood shelves, tables, benches, bar tops, desktops and more. Before the solid wood worktop is fitted, it needs to be treated to ensure long life, durability and less maintenance. We recommend that all real ones are treated with Danish Oil at least 3 times on both the top and bottom. It is essential that all solid wood worktops receive the correct amount of treatment. Their exposed edges can be decorated in a manner ranging from plane to very chunky profiles once they are fitted. They can be fabricated to accommodate sink, hob, dispensers, sockets, drain boards or even a granite slate for a more modern and stylish look, especially in a contrast between black granite tile and with the golden colour of an oak worktop. As the wooden worktops are made from a wide range of wood types, they may vary in price. Normally the most affordable ones are the oak and beech worktops with butcher block type of manufacturing, as they are the most commonly used and easy to source. Normally the ones made from full planks are more expensive, because of the higher price of the raw material prior manufacturing. The exotic types of wood can also be quite pricey, because they are rare and difficult to source, especially wenge and zebrano worktops. 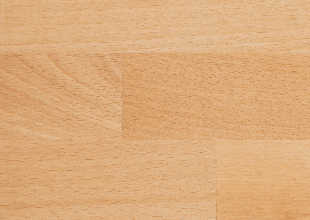 All wooden worktops in our range are made from hardwood. As you can tell by the name, they are much harder than the softwood ones and have more complex structure, even though all hardwood worktops have their own characteristics and they vary in density and weight. 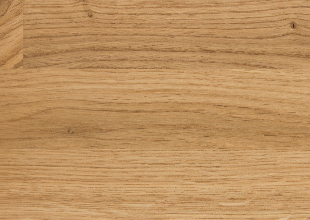 One of the most popular types - Oak Worktops have great strength and hardness and beautiful grain marks. The oak is also very resistant to insect attacks, because of its tannin content. They are a good example of achieving a beautiful finish and durability at a reasonable cost. Another example of a nice looking and very durable kitchen is the iroko worktop. Initially the iroko is yellow, but darkens very quick to a richer brown colour over time. Iroko is hard wearing and durable and does not require regular treatment, because it has a very high content of natural oils. Probably the most attractive ones for our customers are the different variations of walnut. The region of harvesting walnut lumber vary from California to Europe and China, we have selected 3 variations of walnut. European walnut worktops, simply called walnut, american walnut or also known as black american walnut and African walnut popular as Tiger Walnut, because of the dark stripes. All walnut worktops are very durable and have similar characteristics, but slightly differ in colour. 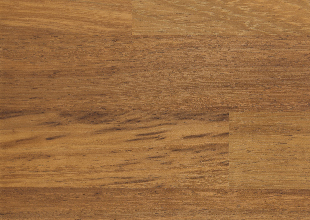 American walnut worktops are very uniform in colour with rich dark chocolate brown tones. 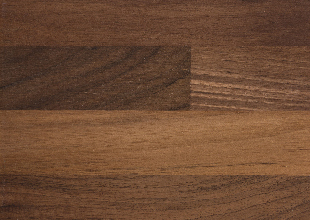 European walnut have more colour variation, but with a generally dark appearance. The most distinctive patterns in grain, you can see in wenge and zebrano worktops. They are a very heavy and dense wood type. Wenge is very dark in colour. Zebrano have a light colour with dark stripes, reminiscent of a zebra pattern and is commonly called zebra wood. All of our products come from suppliers certified by the local forestry authorities. Our wooden worktops come from very well managed forests and controlled harvesting methods. Top Worktops also provide pre-oiling service and all our products comes with 14 days peace of mind guarantee so if you are not 100 percent satisfied we will refund your money in full. If you need to know anything more about our products and services why not use our live chat system especially designed to help and advice you immediately and enjoy your stay on our web site. Our wood is imported from suppliers who share our commitment to sustainable forestry. We use a range of suppliers who are all FSC certified by the Forest Stewardship Council. Top Worktops striving to keep our planet green.